Since 2007 we enable technologists and progressive organisations to innovate and achieve more together. Questers is a London based distributed software development company, integrating processes and services to deliver on organisations' strategic IT agenda. End-to-end, we design, build and manage dedicated teams over a diverse set of technologies in various industries. The majority of over 1000 engineers from E. Europe we employed directly over the last 11 years are still fully engaged with Questers or any of our clients' spin-outs. 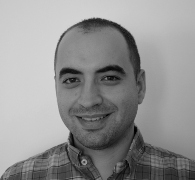 As a co-founder, Alexander has led Questers since 2008. Initially managed the rapid growth of the Sofia delivery center, successfully reinventing it into a leading collaboration platform in the region. 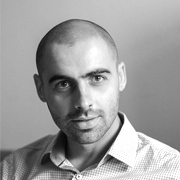 As an entrepreneur he focuses on the future of work and the development of Sofia as a global IT hub. Keen on enabling new initiatives in various businesses, education and sports with positive impact on multiple bottom lines. Harvard alumnus, interested in the transformation of education, a contributor to strategies facing nowadays’ global disruptions such as cybersecurity, block-chain, AI. A father of two daughters, endurance runner, wine & food enthusiast and investor. 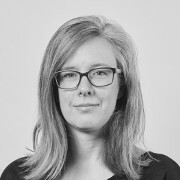 Sarah is a non-exec chair, director and board advisor to digital agencies and creative technology businesses. Prior to this Sarah spent 18 years in global leadership roles in digital agencies. She was the Group Managing Director for digital agency Reading Room, and a member of the board that sold the business in 2015, after helping it to grow to 250 people globally. Before becoming MD Sarah was the Strategy Director at Reading Room, starting her career in project management. Sarah is a passionate believer that ideas can and do come from anyone in a business, and that everyone should be able to fulfill their greatest potential regardless of background, gender, race, or age. She sits on the commercial advisory committee at Ravensbourne College and is part of the team that started the London Legacy Development Corporation’s digital apprenticeship scheme – Flipside. Sarah has worked internationally, spending 4 years managing Reading Room in Australia, and helping to set up the business in Singapore. Three of the businesses Sarah currently works with businesses that have operations in the UK and EMEA, South East Asia and Australasia. 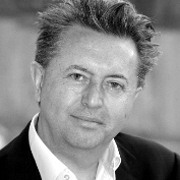 Rob works as a Chairman, advisor and mentor for a variety of technology businesses. In addition to Questers, he is non-exec chairman of Bluesource, Datrix, RightIndem and Canopy. Rob has an entrepreneurial background and in addition has held roles with EDS (now DXC) as European Marketing & Strategy Director and Director General of CSSA (now TechUK). Rob has an MBA and is a Chartered IT Professional, Director and Marketer. He is a visiting Senior Fellow at Imperial Business School and a Court Liveryman of the Worshipful Company of Information Technologists. Maya Ruseva has joined the group of companies in 2008 with proven HR background in the IT industry. As Chief Operations Officer at Questers, Maya is leading the processes of defining and adjusting the company’s business model to the changing dynamics of the global tech industry. She has profound experience in converting client’s business demands into successful HR solutions. Maya’s passion is to work with business acumen but also with positive rational attitude to help clients master the complexities of working across different countries and cultures in the global IT services industry. Maya has graduated Corporate Innovations at Stanford University Graduate School of Business, and she also possesses the highest level in Human Recourses Management from CIPD, Europe's largest professional body for HR and People Development. Maya has a keen interest in behavioural sciences and sociology. In her personal life, Maya follows the credo “Enjoy life with family, friends and food”. Since joining Questers in 2010 Tatyana and her team have successfully placed more than 400 IT Specialists within clients’ teams in Bulgaria, Serbia and Romania. 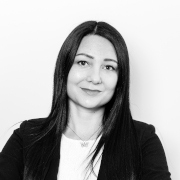 Tatyana has solid experience in establishing and scaling-up highly efficient development, support and test teams with various technical background for UK, US and European clients. 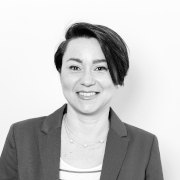 While ensuring all resourcing needs are met and service conforms to the highest quality levels Tatyana is also overseeing potential new locations and responsible for the company’s further expansion. Enjoys traveling, meeting new people and experiencing new cultures. 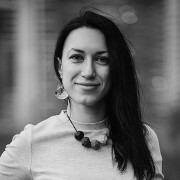 Stilyana joined Questers in 2018 with solid experience in Finance and Accounting. As Chief Accountant at Questers Stilyana is responsible for the overall financial and management reporting. In her work she likes to use the most efficient and effective techniques while constantly broadening her knowledge and improving her skills. Stilyana has graduated the University of Economics in Varna. She also has a master’s degree in Financial Management from the Academy of Economics D. A. Tsenov and a diploma from The Chartered Institute of Management Accountants – the world's largest professional body of management accountants. Outside the office she enjoys traveling, reading and family time. 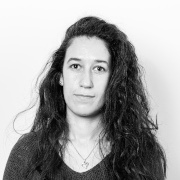 Yoana has joined the Questers’ family in 2013 as part of the Recruitment and Resourcing team. Throughout those years she managed to successfully collaborate with various clients taking a key role in the setup of some of the major teams from scratch and working effectively both with clients’ and candidates’ side. In the last couple of years due to her expertise in the Bulgarian IT labour market and a passion to match the best people to our clients’ teams, Yoana took a leading position in the Recruitment and Resourcing team. Personality-wise, she is a result-oriented and a goal-driven person, who always strives for the best. Yoana believes that the effective communication is the key to every successful business collaboration. Outside of the office she is interested in travelling and exploring new places around the world. Vesselin started his diverse tech career back in 2000, managing large data centers infrastructure in the US and developing complex web services as a tech lead and PM. Later he specialized in statistics and financial market sentiment models, which is also his academic background. He has been consulting for multinational organisations on projects in enterprise architecture performance, data analytics, statistical tools, and cyber security solutions. Vesselin's interests include free and open source, cloud technologies, cyber security, machine learning and data science. He has a degree in Applied Mathematics from Sofia University, completed specializations in the UK and holds numerous student international awards in maths and science. Don’t hesitate to reach out to us. We would love to talk to you, to find out about the challenges you are facing and to give you more details on how we could help.